In one of our previous insights (What does Automation Mean for Manufacturing in Vietnam? ), we discussed Vietnam’s position as a manufacturing powerhouse and how the country is emerging as a low-cost hub for manufacturers around the world. In this article, we look further into the booming domestic sector and the opportunities to be tapped by solution providers of disruptive technologies such as Internet of Things (IoT) and Big Data. Southeast Asian economies are touted to become the next ‘factories to the world.’ A survey by McKinsey revealed that 19 percent of ASEAN businesses themselves plan to shift investment or business from China into their own region; respondents in the survey also identified Vietnam as one of the most attractive countries for new business expansion and investments. The country continues to manifest and strengthen itself as a manufacturing hub in Southeast Asia. 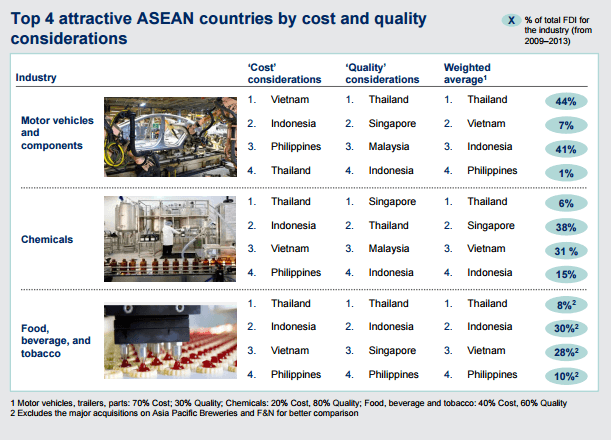 McKinsey Global Institute (MGI) developed a competitiveness index in 2013 to assess foreign investors’ decisions in plant location as well as cost and quality considerations in ASEAN. 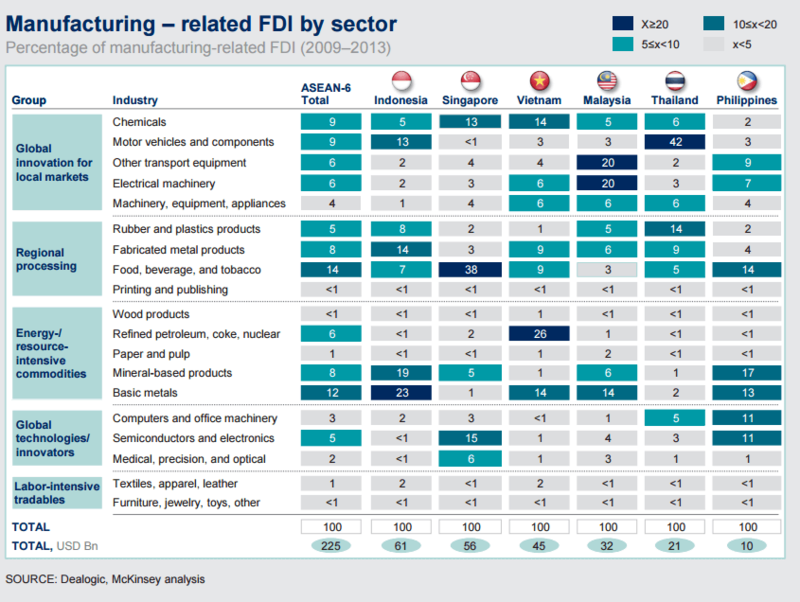 Unsurprisingly, Vietnam is one of the most promising markets for manufacturing and industrial works. While the data presented was in 2013, there is no doubt that Vietnam has grown exponentially since then. Latest figures from a survey conducted by Grant Thornton Vietnam in the third quarter of 2016 revealed a continued positive outlook from domestic and foreign investors alike about Vietnam’s economy; 69 percent of businesses evaluated Vietnam as an attractive destination for investment activities and 91 percent of enterprises agreed on the positive growth prospect of Vietnam’s economy. Buttressing the positive sentiments, Asian Development Bank Outlook stated that reduced inflation, stronger external accounts, and stable foreign exchange market have enabled Vietnam to improve its macroeconomic landscape to sustain the country’s macroeconomic stability. More importantly, however, there is a gap in the sector that is waiting to be harnessed: technology. MGI’s research posited that disruptive technologies could increase profit margins and lower costs which could potentially create $25 billion to $45 billion of annual economic impact in Southeast Asia by 2030. A survey by The Economic Intelligence Unit revealed that 15 percent of ASEAN respondents said they were optimistic of big data’s ability to improve forecasting accuracy which could increase revenue or efficiency for their company by 50 percent. With Vietnam’s Ministry of Industry and Trade’s announcement of a master plan for the country’s industrial development by 2025—with a focus on electronics and telecommunications as well as industrial processing and manufacturing—the opportunity for disruptive technologies to be integrated into the existing surge of industrialization in Vietnam is unmatched. 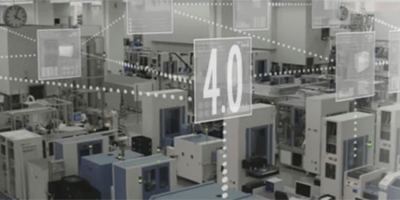 Disruptive technologies such as the deployment of IoT in industrial automation will help Vietnam to sustain its competitive advantage by providing valuable information for operators to maximize efficiency and reduce human errors. In the recent Vietnam Summit 2016 in Ho Chi Minh City, Vo Quang-He, managing director of Bosch Vietnam, discussed the future of manufacturing and the prospect for Industry 4.0 in the country. He emphasized the need for more new requirements for human capital in the wake of the fourth generation of the technological revolution in manufacturing, which led to the company’s heavy investments in ICT development in the country. A nurtured and invested tech-savvy population will be equipped to operate IoT technologies that are deployed in various business operations. The potential of IoT in the manufacturing sector is undeniable, apparent from the existing investments by tech firms such as Bosch. It is therefore unsurprising that manufacturing companies in Vietnam are turning to disruptive technologies such as IoT and big data to improve their operations and deliverables. Companies such as FrieslandCampina Vietnam, Vinamilk, and Masan Group, among many others, are seeking technology vendors to help deploy and integrate IoT technologies into their business operations; all in the name of retaining and sustaining their competitiveness in a highly competitive economic outlook.